Her Indian name was Singing Bird. Her Christian name was Marie Agatha. She probably pronounced it Mali Agget which sounded like Molly Ockett to the English settlers. Many Abenaki in this region were Catholic and received Christian names at their baptism by French Catholic missionaries. These names were written phonetically from the Indian pronunciation. A major focal point of Molly’s world was Pigwacket, the ancient Indian enclave at present-day Fryeburg, Maine, a short distance east of the present border between Maine and New Hampshire. In the centuries before Molly Ockett’s birth around 1740, the Abenaki, an eastern Algonquian tribe, maintained their historic homeland over an area stretching from the Iroquoian tribal lands in southern Québec to the northern Massachusetts border and from the Passamaquoddy territory in eastern Maine to the shore of Lake Champlain in western Vermont. 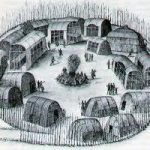 Interrelated through marriage, and sharing a common dialect, the Abenaki participated in an annual cycle of migration that took them southward to seashore camps for the summer, northward to deep woods hunting camps in the winter, and back to their riverside villages for late fall feasting, and spring fishing and planting. By the middle of the 17th century, the traditional Indian way of life in this region was undergoing drastic change. An attitude of friendly curiosity turned to distrust and hostility as the native population watched their numbers rapidly dwindle due to virulent epidemics introduced by Europeans. Indian intertribal relationships disintegrated due to the burgeoning fur trade and the introduction of firearms. The demand for furs strained the native economy by using up time previously spent in search of large game for food and skins; the fur trade also made natives much more aware of the importance of territorial boundaries, a concept foreign to the Abenaki before European notions of private land use and ownership were imposed on the region. Throughout her childhood, Molly Ockett and her family moved constantly to avoid the perils of the French and British colonial wars that were taking place around them. 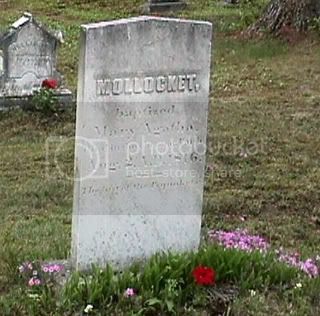 During 1759, while taking refuge at the St. Francis Mission at Odanak near the St. Lawrence River, Molly reportedly witnessed the death of her parents and many other Abenakis during the famous Roger’s Raid. By 1764, Molly had married a Native hunter named Piel Susup (Peter Joseph). That year, the couple visited the rebuilt mission at Odanak to have their marriage consecrated and their new daughter baptized. By 1772, Piel had died and records show Molly living with a Pigwacket Abenaki named Sabattis near Fryeburg, Maine. In time, she quit that stormy relationship, but always maintained her link with Fryeburg and numerous other Maine towns. 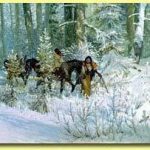 Molly became an Abenaki medicine woman, and was well known in the White Mountains of New Hampshire, Vermont, and western Maine, where she assisted the sick, and delivered the babies. She wandered throughout the Upper Androscoggin and Connecticut Rivers in a traditional Abenaki manner, collecting healing medicines and providing for herself as she had been taught by her ancestors. 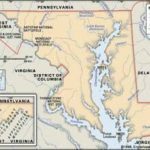 Molly was an itinerant healer and herbalist for both natives and colonists. She administered her remedies to the settlers whenever and wherever there was a need, never accepting more than one copper penny for her services. Molly provided the only medical attention available to most of these early settlers. 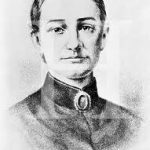 She established close relations with the early settlers in such communities as Andover, Fryeburg, Poland, Paris, and Bethel in Maine during the late 18th and early 19th centuries. Such ties enabled her to gain an intimate view of white society as it spread throughout the vast wooded domain long occupied by her ancestors. In 1781, during the American Revolution, she saved the life of a Colonel Clark by warning him of a raid. When Clark tried to reward her, she refused. Years later, after an especially difficult winter, she accepted his offer to stay with his family in Boston, where she learned about European medicine. Missing the woods and her independence, she did not stay there long. After leaving Boston, Molly resumed her itinerant life in Maine and Vermont, walking long distances and setting up camp near one town or another. Refusing to leave her ancient homelands, she continued to practice the ways of her people, despite the many cultural changes that were taking place around her. Since her death, Molly Ockett has become a legendary figure. Renowned as “the last of the Pigwackets,” she is honored annually at Bethel’s “Molly Ockett Day” celebration, and her name is connected with numerous geographic landmarks, business ventures, and community organizations. It’s difficult to sort out truth from fantasy.